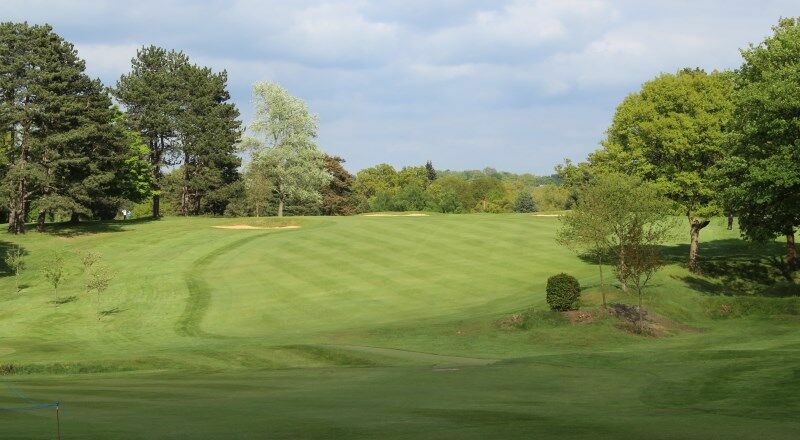 A very pleasant short par 4 to start your round off, with the tee located in front of the clubhouse. Hold your nerve and make a good swing, there may be people watching. An uphill tee shot leaves you a short approach to a well guarded green. This hole can lead you into thinking this is an easy course, don't be fooled, there are some tough and challenging holes ahead of you. 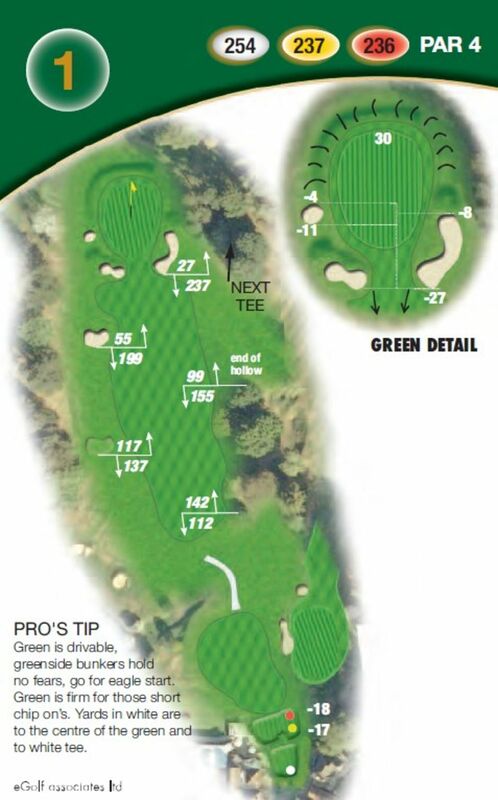 The green is driveable, and the greenside bunkers should hold no fears, go for an eagle start. The green is firm for those short chip ons, beware.